June: Appeared in THE POST directed by Steven Spielberg with Tom Hanks and Meryl Streep. June: Debuted Darryl Reuben Hall's HARLEM OF THE SOUTH: Duke, Ella, James, and Cab! December 2015: Performed at PAL Harlem Center Christmas Jam featuring Rosie's Kids produced by Broadway producer Judy Abrahms. December 1: Recipient of the Art Ventures Award from the Community Foundation of Northeast Florida. July: Recipient of an Arts Ventures grant from the Community Foundation for Northeast Florida to complete music for Darryl Reuben Hall's DRAWN FROM THE WATER. July 30 -August 2: Produced Annual Aurora Jacksonville Black Arts Festival featuring ANNIE, JR. and the annual Performing Arts Summer Institute. May 7-10: Producing STEEL MAGNOLIAS at Stage Aurora Theatrical Co., Inc.
March 18, 2015: Produced, Directed, and Choreographed Darryl Reuben Hall's HARLEM OF THE SOUTH: The music of Duke Ellington, Ella Fitzgerald, and Cab Calloway. January 30 -Feb. 9: Producing DREAMGIRLS at Stage Aurora Theatrical Co.
December 6-15: Producing James Baldwin's THE AMEN CORNER at Stage Aurora Theatrical Co.
November 17 & 18 -Director and Remount of THE COLOR PURPLE at Stage Aurora Theatrical Co.
October 11-12, 2012 -Producer of the (Broadway) Workshop of ONE FOR MY BABY directed/choreographed by Scott Thompson. September 28 -October 14 -Producer/Director of THE COLOR PURPLE at Stage Aurora Theatrical Company in Jacksonville, FL. April -May Featured as THE WIZ in THE WIZ at Stage Aurora Theatrical Company May 11-13, 2012 located at the Stage Aurora Performance Hall inside Gateway Mall. Actor appears courtesy of Actors' Equity Association. 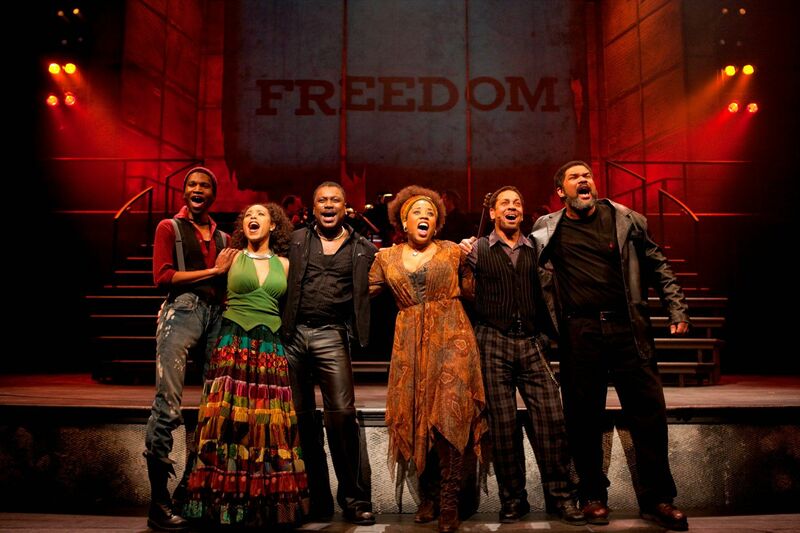 March 2012 Stage Aurora Theatrical Company and Darryl Reuben Hall received a Rosetta LeNoir Award nomination from Actors' Equity Association!